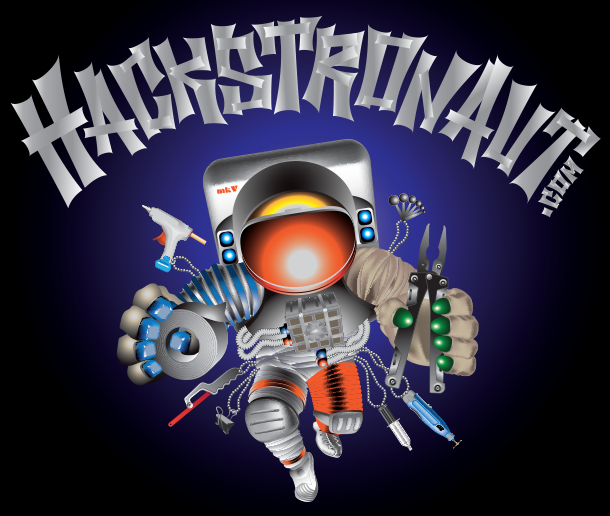 | HACKSTRONAUT.com: Home of The Hackstronauts. We are inventors, explorers, daredevils and yes, human guinea pigs. We are true believers and virulent skeptics. We are the crazy people that throw ourselves off of moving band-wagons. Hacking is a way of life for us (see: Are You A Hackstronaut). We see hacks everywhere, on our computer screens, in our homes, cars, workplaces and even when we look in the mirror. There is nothing so well designed or high functioning that a hack can’t make it faster, stronger, smarter… better. Some will say we’re cheats, line-cutters and outlaws but we just like to trash rule books. The world is already so full of “should” we’re going to fill it with “could”.